1. PC durable long-lasting anti-fog can bear rubbing. 2.Soft and comfortable silicone gaskets,Soft and comfortable silicone gaskets. 3.The strap with hight elasticity can resist rip,and double-tire of anti-slide design in the middle of headstrap can avoid falling off effectively. 4.One-piece silicone goggles, can prevent scratch the bridge of the nose, head, is also of high quality silica gel, can adjust the size by pulling head bring, texture is soft and comfortable, good waterproof performance, easy to wear, can be recycled many times.Lens is already anti - fog, is a popular - selling adult goggles. 5.Import double intensify anti-fog agent can be used on lenses to make you sight clear and strengthen persistance of anti-fog function.M-hardness silicone masterials in order to make you comfortable and reduce impact to your eyes. Our company are Dongguan Huayi Sport Co.,Ltd. Specialized in the manufacturing of diving mask,snorkel set swimming goggles,swim caps, nose clip, earplug and others swimming products. 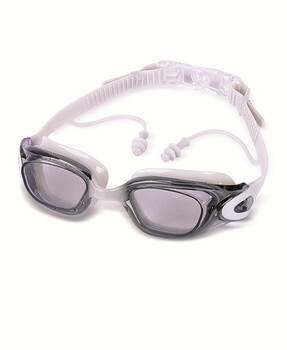 Our swimming goods have got SGS, ROHS, BS5883:1996, CE, EN 71/72/73 certified. Our company based in Guangdong China,with more than 200 employees and 20 technicians, covering an area of 15,000 square meters. We in line with the principle of the supremacy of customers, willing to answer any questions for you, are willing to use the best products to dealing with you, every time the fair means that all the lively scene, we would like to work with you hand in hand. We will according to the length of the weight of the goods and transport to reasonable choice of transport, reduce the damage of goods in transit, we adopt is thickening reinforced packing, to maximize the protection of the goods.We have special staff to track the goods in transit to ensure the safety of the goods to arrive at your hands on time. If you have any problem, please contact us. A:2-3 weeks (5000pcs) after we receive the deposit. A: Yes, we could offer the some sample for free,but some sample you need to pay fee. Q: May I get your samples from you to check the quality? A:We can provide our samples for you with no charge. Also you can send us your samples and then we can make the counter samples for you. A:30% contract value as down payment by T/T; balance 70% of contract value by T/T before shipment.